Opposites attract, until the magic gives way to misunderstanding. That is the story of the Thorpe family. Rex, practical, is a rule keeper. Rosie, sparkling and unconventional, lives to break the rules. When Rex and Rosie divorce, their daughter, Willow, must navigate their opposing worldviews as she shuffles between them. 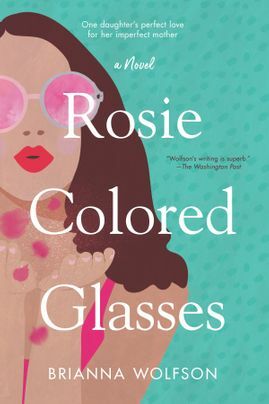 But Willow just wants to be with fun-loving Rosie, to bask in her mother’s enchanting glow, the parent who lets her stay up late, miss school, eat candy for breakfast. Rosie’s seemingly outsized love fills a void within Willow. But as her mother’s behavior becomes erratic, her father must step in to shield Willow. Blinded by Rosie’s brilliance, Willow resents Rex’s interference, unable to recognize his kind of love. Rex has removed his Rosie colored glasses. Now Willow struggles to do the same without diminishing her deep love for her mother. In turns heartbreaking and uplifting, this novel is about the many ways that love and family, however imperfect, can redeem you.